What tow car should you buy? 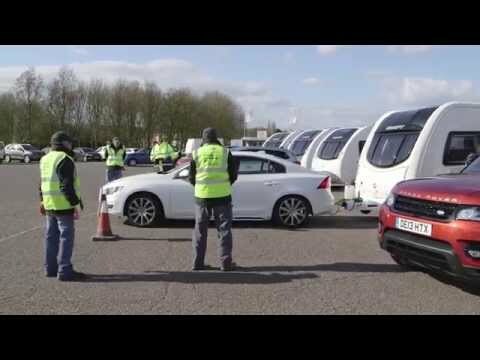 Here's the preview video for the Tow Car Awards 2014, brought to you by Practical Caravan, The Camping & Caravanning Club and What Car? Don't forget to like, comment and share! After a week of exhaustive testing and deliberation, we are almost ready to unveil the UK's best tow car – what car do you think will be our number one? The Tow Car Awards 2014 is almost here. The results will be revealed on Thursday 12 June at 8pm. Presentations are being repaired, speeches written, websites prepared. There's not long to go now. What tow car will emerge as this year's winner? The video above gives some idea of the work which goes into the Tow Car Awards test week. It's a busy few days, that's for sure, but searching for the UK's best tow car is one of the highlights of my year. The Green Award is one of the most interesting categories. For 2014 we've shortlisted six cars with excellent official economy figures, including two plug-in hybrids. We've tested hybrid vehicles before as tow cars (that is, cars which use a combination of either petrol or diesel power and an electric motor), but never a plug-in hybrid. These are cars which can be charged from special electric chargers (or conventional sockets), giving drivers the option of travelling on electric power alone. The Mitsubishi Outlander PHEV and Volvo V60 Plug-In Hybrid we've been towing with both have claimed all-electric ranges of over 30 miles. If you have a short daily commute you could plausibly drive from Monday through to Friday without using a drop of fossil fuel, charging up at home or at the office. That's all well and good, but what happens when you hitch up to a caravan? Finding out was one of the most fascinating parts of this year's Tow Car Awards tests. We'll reveal the answer in the August magazine or on our new website, www.thetowcarawards.com, which will go live on the evening of 12 June. The Green Award is one of 11 which will be revealed next week, and there are some great new tow cars and fascinating match ups throughout the 56 (yes, 56) cars which we've tested. In the 'Up to 1400kg' category, the Skoda Octavia (last year's overall winner) takes on the Seat Leon, Citroën C4 Picasso and Alfa Romeo Giulietta. It's the first time we've tested an Alfa in the eight years of the event. It looks good, but does it have what it takes as a tow car? Then in the '1400-1549kg' class in the 2014 Tow Car Awards, the Volkswagen Golf Estate takes on the Mazda 3, the revised Skoda Yeti and the Honda Civic Tourer. The VW Golf Estate has a huge boot, but the Honda Civic Tourer's is even bigger, so long as you include the space under the boot floor. The Mazda 3 may not be as roomy or practical as the Golf or Civic, but it's one of my favourite cars of the past 12 months. As for the Yeti, I've thought about buying one myself. Step up to the '1550-1699kg' class and the perennial favourite, the Volkswagen Passat Estate, takes on the Skoda Superb Estate, the revised Range Rover Evoque and the new Kia Carens. Those are just a handful of the contenders in this Tow Car Awards category, packed with new MPVs, 4x4s, estate cars and crossovers. What tow car will win in the '1700-1899kg' class? Here, things get really interesting. Is the Mitsubishi Outlander PHEV a genuine contender? What about the revised SsangYong Korando? Or the facelifted Kia Sportage? The heaviest weight class in the 2014 Tow Car Awards is for cars with a kerbweight of 1900kg or above. Can any car beat the Land Rover Discovery, which has won the heaviest weight class every year but one since the Tow Car Awards started in 2007? The new Land Rover Range Rover Sport offers some homegrown competition, while the new BMW X5 also has to be a contender. And what about the SsangYong Rexton W, a big 4x4 at half the price charged by the upmarket brands? So if you're wondering what tow car to buy next and what is the best tow car in the UK right now, you've not long to wait.